Corporate social responsibility is already a common practice for many corporations. Increasingly, smaller companies are following. The motivation could be as simple as bowing to societal expectations. In other cases it is enhanced competition in many commercial sectors with players looking for novel ways to distinguish themselves. In addition, more and more companies realize that acting responsibly to the environment, communities and their employees is a good strategy for boosting business in the long run. The link between corporate social responsibility (CSR) and employee motivation is a new research subject, yet recent studies demonstrate that good CSR policy can boost staff morale. A study by Ante Glavas, published in May 2016 in the journal Frontiers of Psychology, shows that one way this works is by aligning personal and company values. Work becomes more meaningful if employees believe they are able to express their authentic selves. Good CSR policy can also improve employee perceptions of working conditions, further boosting engagement. Similar conclusions can be found in the article Employee´s Perceptions of Corporate Social Responsibility and Job Performance: A Sequential Mediation Model, published in the journal Sustainability. Workers are more likely to identify with their organisation if they perceive it to act in support of important social causes. 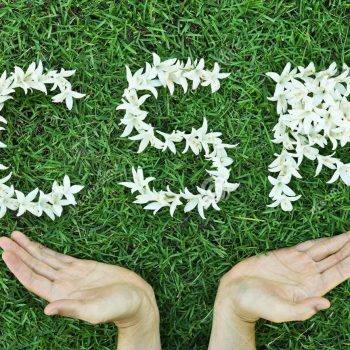 Explaining the benefits of good CSR policy is easier than explaining what good CSR policy is. The field is very diverse and different companies will have different answers, depending on their line of business, corporate culture or the causes they decide to support. One important note is that CSR is more than just donating money to charity. Certain values should be reflected in corporate culture and in the way the company treats its employees and all of its stakeholders. The studies mentioned above both make the point that a key factor for success is how CSR policy is perceived by employees. This means it should be well communicated among the team and should align with their values. In other words, if CSR policy is the responsibility of a team on the periphery of the organisation, or a human resources or marketing team with different core functions, it has a smaller chance of getting employee buy-in. Glavas also points out that CSR policy should be individualised and personal, making the argument for a flexible approach rather than a centralised one. Finally, he cautions that CSR activities should not add up to more demands of employees at work. Carbon offsetting is already a trend for leading travel businesses which realize that a growing number of customers want to act responsibly. Leading airlines, travel agents and, increasingly, event organisers are giving clients the option of paying an additional fee to offset travel-related or operational emissions. More companies can benefit from this by using carbon offsetting to achieve carbon-neutral operations or carbon-neutral workforce. One option could be to offset company operations or emissions related to business travel. Others can choose to offset the carbon footprint of employees. This could be a way to offer additional benefits to employees, something of great importance in the tech sector where competition for quality employees is intense. Companies can offset employees’ personal carbon footprint as an additional benefit, along with more traditional options such as private health insurance, gym memberships or food coupons. Such a step will communicate quickly and effectively to employees that they are working for a responsible employer. When coupled with in-house green measures and support for community causes, carbon offsetting can form the basis of an engaging and effective CSR policy and sustainable business practice. 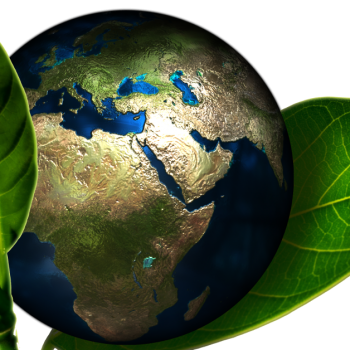 CO2 Cards uses the carbon offsetting mechanism to help companies launch an affordable, scalable and very easy to communicate to a large number of employees CSR policy. Such activities are proven to have positive impact on employee perceptions very quickly. In addition, CO2 Cards services are transparent and based on United Nations standards, supporting projects in several parts of the developing world. These projects have not only undertaken measures to cut greenhouse emissions but also to alleviate poverty, provide jobs in rural areas and strengthen communities in developing countries. These additional goals can help with the support of employees and stakeholders who are more in tune with social causes rather than just environmental ones. Opting for carbon offsetting is an easy first step towards meaningful CSR engagement. It offers a maximum impact for you r business and for the environment at a minimum cost. Get in touch (office@co2cards.com) and CO2Cards will help you make this work also for your business.